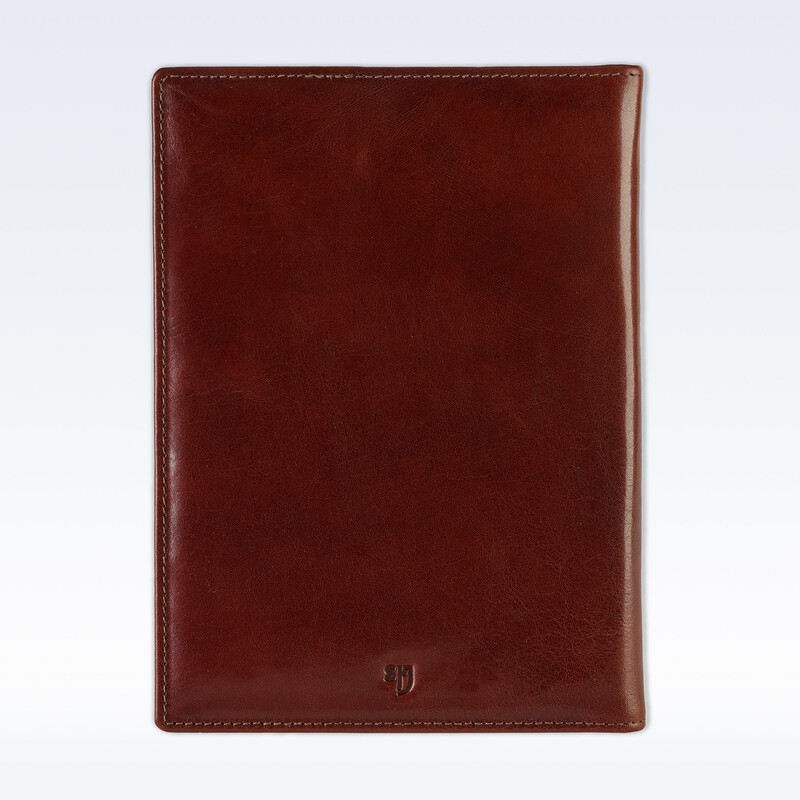 Presenting the impressive St James executive A5 sized Premium Leather Portfolio with coordinating monogrammed lining, this smart classic folder contains an interchangeable A5 cream StJ leather topped pad. 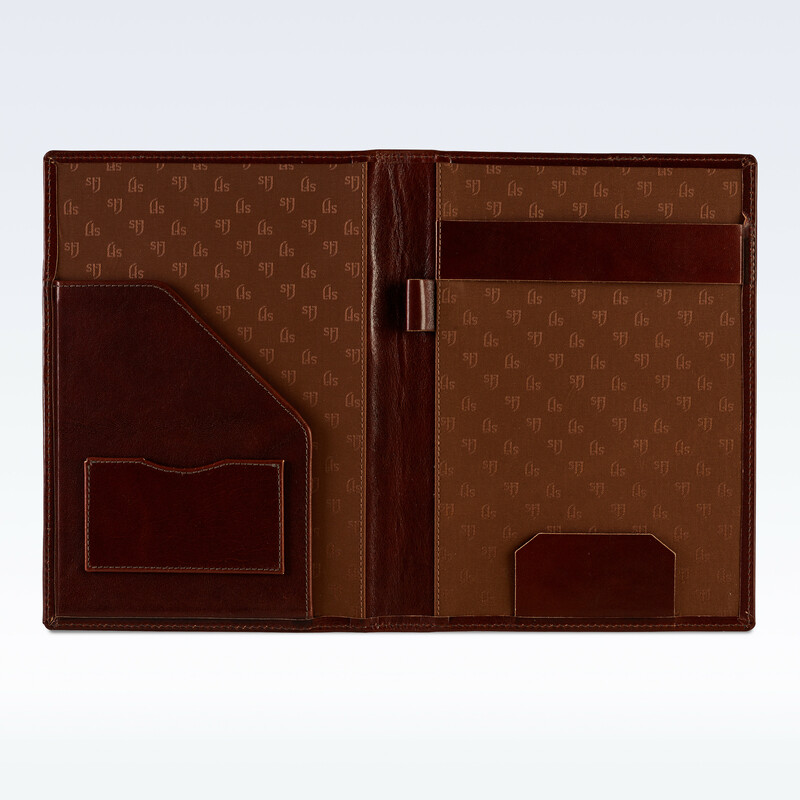 Pen holder to spine, large compartment useful for documents or a slim tablet & a business card pocket. 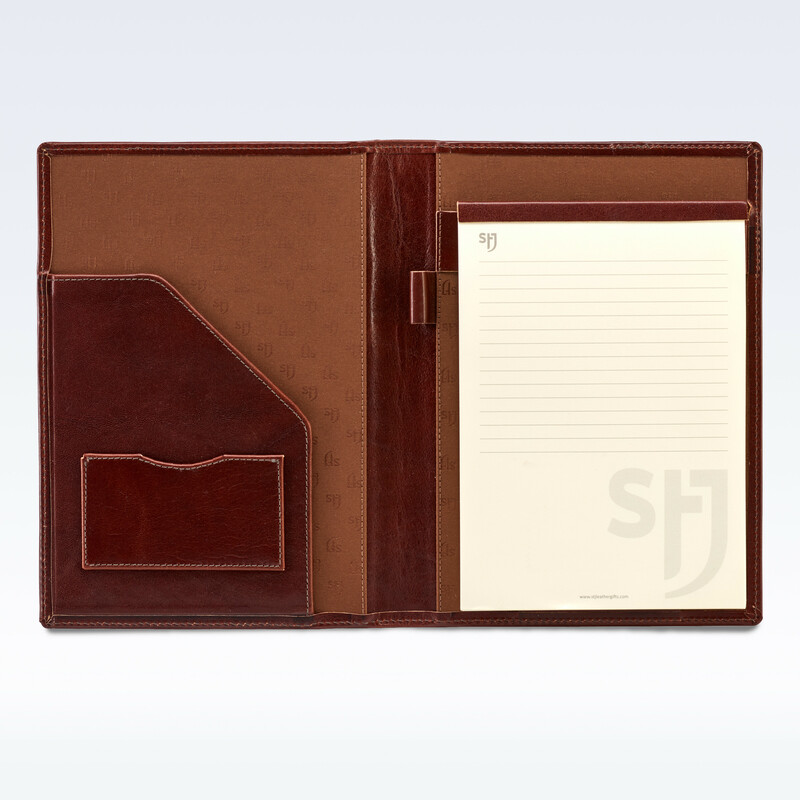 Our StJ Leather Gifts cream 80gsm paper pads are also available as refills, in our accessories category. 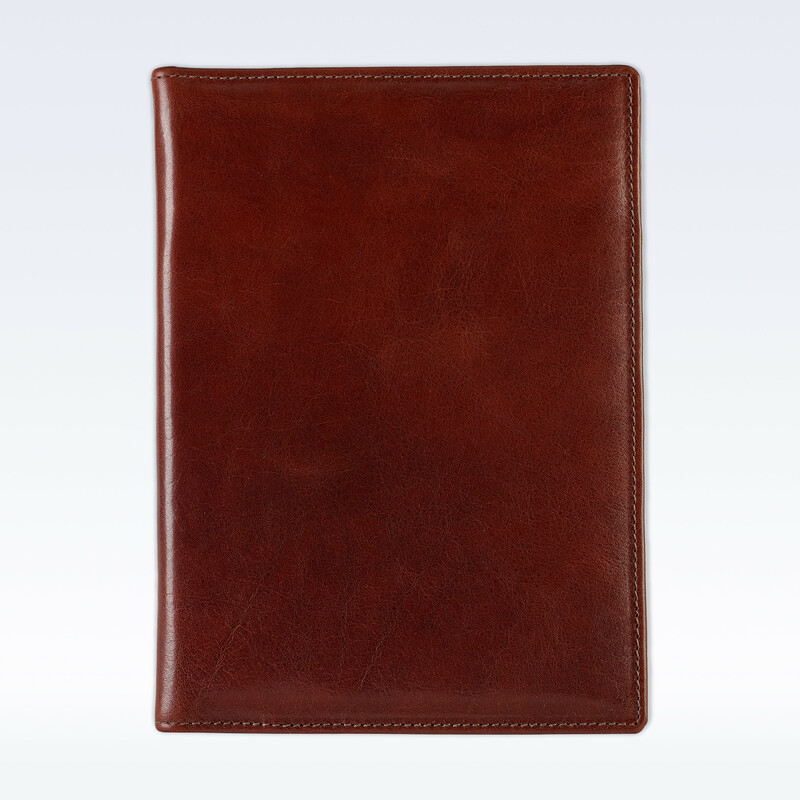 (Pen sold separately).It’s simple and elegant design makes this folder perfect for the office and home.The natural lustre of the leather used to create this A5 Leather folder will over time age beautifully and will further improve with use, to become a treasured item for many years.